UN High Commissioner for Human Rights Zeid Ra'ad Al Hussein made a four-day visit to assess the progress of the war crimes investigation. During his stay, he met with politicians and civil society leaders. The main issues were political prisoners, internally displaced people, refugee camps, and civilian areas still under military control. 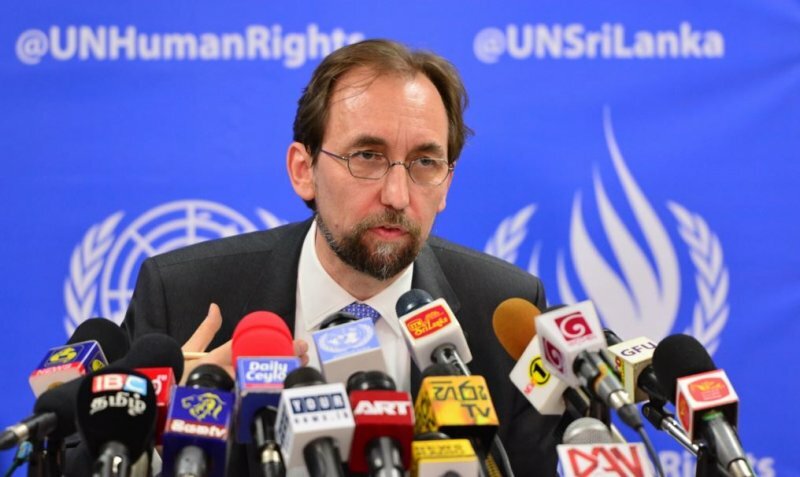 Colombo (AsiaNews) – Sri Lanka must “confront and defeat the demons of its past”, said yesterday Zeid Ra’ad Al Hussein, United Nations High Commissioner for Human Rights, at the end of a four-day visit to assess the island’s progress in investigating war crimes. The UN Human Rights chief said Sri Lanka had come a long way since this time last year, when voters ousted former president Mahinda Rajapaksa after a decade in power. Noting that violence continues in the northern and eastern provinces at the expense of the civilian population, he urged “Sri Lanka’s armed forces to face up to the stain on their reputation”. Mr Al Hussein’s visit began on Saturday and ended yesterday. During his stay, he met with various political leaders and representatives of civil society organisations. During his meeting with civil war survivors, he addressed the issue of missing people and political prisoners still held in Sri Lankan jails. With respect to the latter, Al Hussein also spoke with local government officials. He explained however that it would not be possible to advocate for a general amnesty for political prisoners currently being held by authorities. The UN Rights chief visited former war zones in Jaffna and Trincomalee, where most of the fighting took place between the Sri Lankan military and Tamil Tiger rebels. At a press conference, he noted that in these locations the military still occupies civilian areas. At the same time, he noted “recent highly symbolic steps that have had a positive impact on inter-communal relations, including the decision taken to sing the national anthem in both Sinhala and Tamil on Independence Day, for the first time since the early 1950s.” Likewise, he acknowledged that President Sirisena pardoned a Tamil rebel who had plotted to assassinate him. Still, “large parts of the country have been physically, politically, socially and economically separated from each other to a greater or lesser degree for much of the past three decades, and the effort to rebuild trust in the State, and between communities, will take years of political courage, determination and skilled coordination and planning. A UN report in September described horrific wartime atrocities. Both the Sri Lankan government, when President Mahinda Rajapaksa was in office, and the defeated Tamil Tiger rebels are accused of serious human rights violations. According to UN estimates, up to 100,000 people were killed in the 26-year war, but many more are feared to have died, including up to 40,000 civilians in the final months of the fighting. Al Hussein thanked the current president for allowing the investigation of the Sri Lankan military, unlike Rajapaksa who always denied that violations were committed during his tenure in office. For this to happen, the island nation “must create institutions that work, and ensure accountability.” It must also “seize the great opportunity it currently has to provide all its people with truth, justice, security and prosperity. Caritas Lebanon: repatriation of a few thousand Syrian refugees "a drop in the ocean"